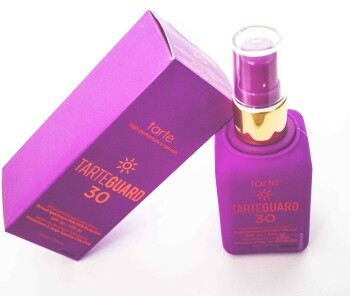 Tarteguard your skin this summer! Whether you want to believe it or not when you wear sunscreen daily with SPF 30 its one of the best things you can do for your skin. On that note, it’s also a matter of finding one that works for you and isn’t clogging your pores or making you smell like you just spent the day soaking up the rays of the sun. This is where Tarte cosmetics has created an amazing product that works perfect for me and hopefully will for you too! 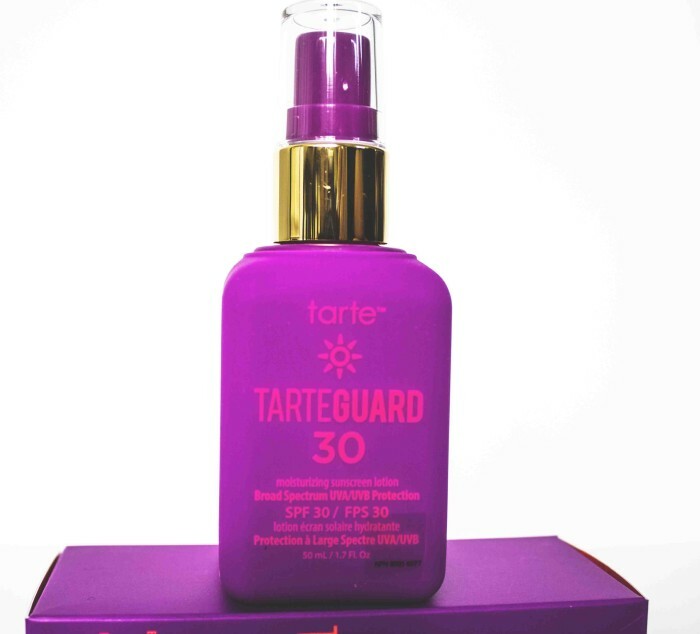 Make some room on your dresser for the newest addition of the Tarte Summer 2015 Collection-Tarteguard. Now remember, Tarteguard is not just a pretty face everyone (I know how cute is the perfect little purple bottle with the cutest addition of Coral coloured font, definitely the most stylish sunscreen I have laid my eyes on. 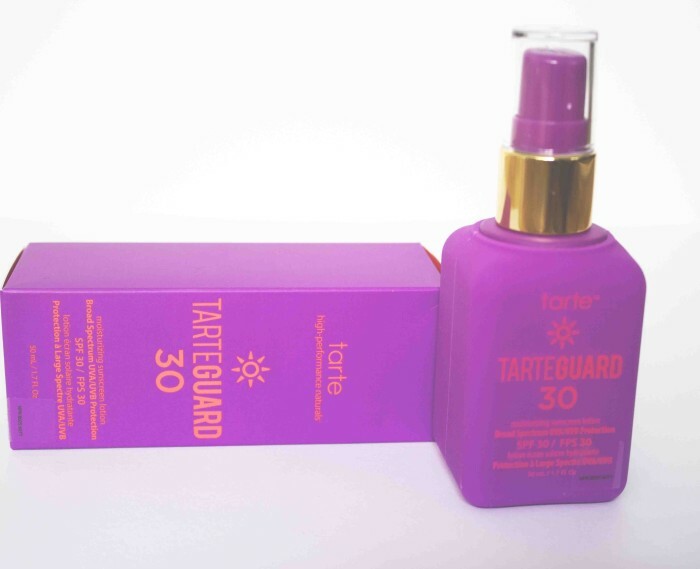 ), Tarteguard is a non-chemical SPF 30 sunscreen that can be applied every morning or whenever you are planning to be in the sun. It’s not your standard sunscreen either, I cannot get over how much it feels like a regular moisturizer and you can feel it working right away- but still allowing your pores to breathe. Depending on your skin type, for instance, if your face is really dry make sure you know that you totally can still add your regular day to day moisturizer! And always be sure to apply to a clean face—Not calling anyone dirty here, but I mean you want the best results you can get right? And I know how lazy I get like all the time! Maracuja, Red Algae, Soybean Extract, Apple Extract, Honeysuckle Extract, Sodium, and end it off with some Vitamin E.
Lastly, I want to make mention that another huge plus about this is how quickly it absorbs into your skin. When I first pressed the adorable little pump I got worried, the texture was not what I imagined, it was a lot thinner so when I finally used it I was in heaven, not to mention, the heavenly scent also put quite the smile on my face! Get yours today at your nearest Sephora or order online at tartecosmetics.com. Let me know though everyone what sunscreen can you just not get enough of?